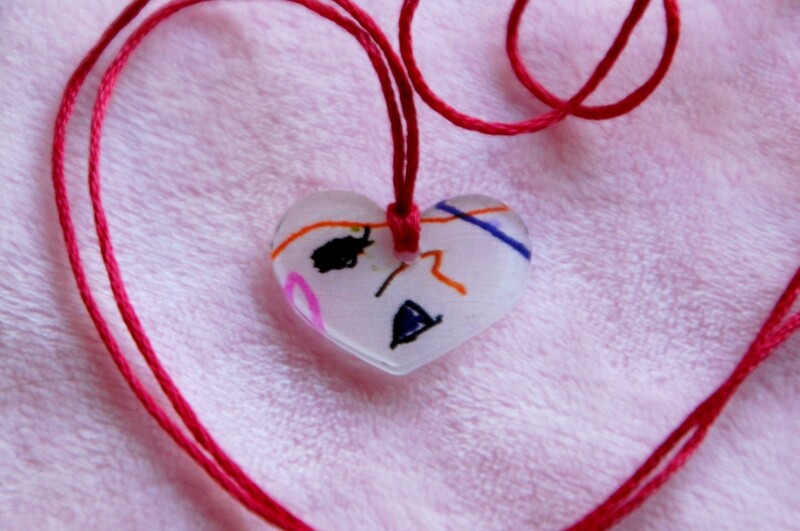 Do you remember Shrinky Dinks? I loved loved loved these as a child, but I wasn’t sure if my 2.5 year old would be ready for them yet. We happened to find ourselves at a Hanukah party in December where a bunch of craft tables were set up, and my child gravitated to the Shrinky Dink table. Why, I’m not sure, but the mountain of Sharpie markers may have had something to do with it. 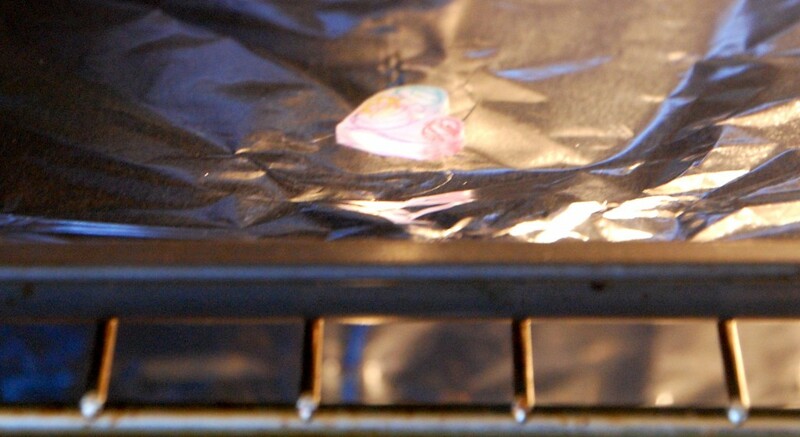 We had a really good conversation about how plastic melts with heat (in this case, in a hot toaster oven), and I’m impressed that my daughter can now articulate a wide range of melting things including snowmen, ice cream cones, and now shrinky dinks! Sharpies in a variety of colors. 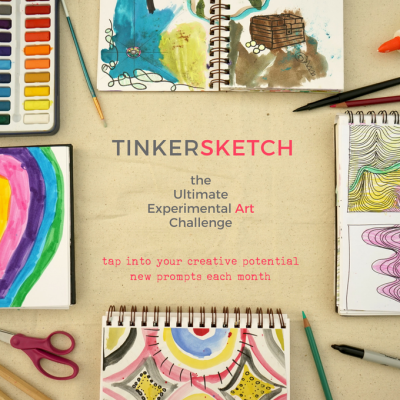 The Shrinky Dink company also recommends Prisma Color pencils or non-water based crayons. We used Crayola Twistables and Crayola washable markers for this project. 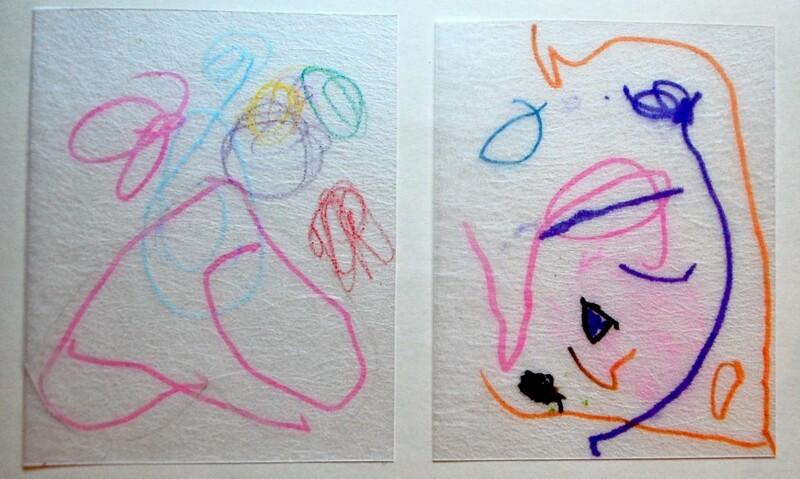 I cut one of the sheets in half, and my daughter drew all over them with Sharpies, markers, and crayons. We’ve been revving up for Valentine’s Day, so when a request for a heart shape came in I was ready! 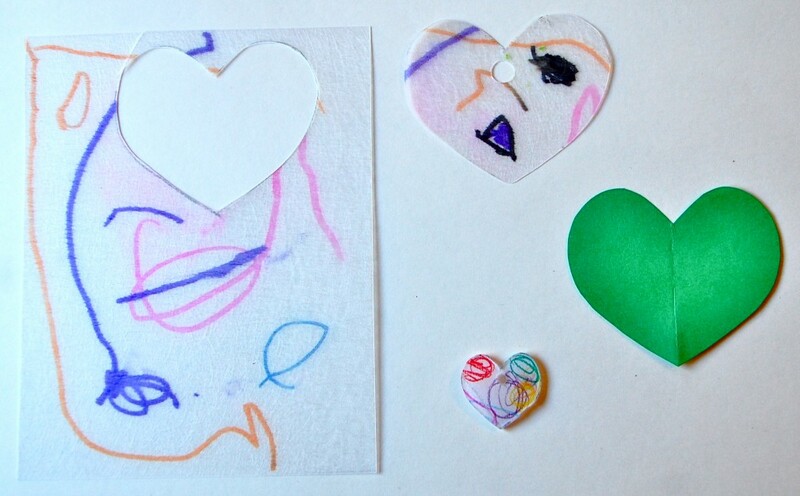 I made a little heart template on green paper, traced the shape onto the plastic, and then cut it out. You can get a sense of the scale reduction in the picture above. I punched a hole near the top, so we could add these to a keyring or necklace later on. Heat the oven to 325, then bake! The plastic curls as it heats up, and it’s really fun to watch. If there’s ever a time to use the oven light, this is it! This step takes less than 30 seconds, so watch it closely. 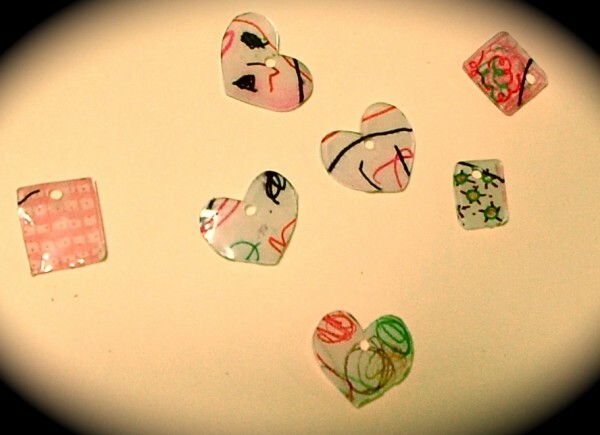 And there you have it…Shrinky Dinks just in time for Valentine’s Day. 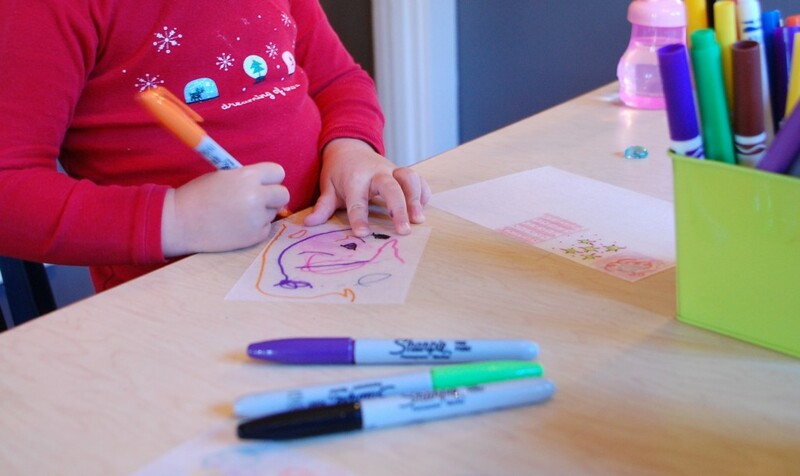 Our friend Chelsea shares these instructions from Curbly for making your own shrinky plastic pictures from #6 plastic (polystyrene). It’s brilliant: resourceful, inexpensive, and recyclable! We will most definitely be trying this out. 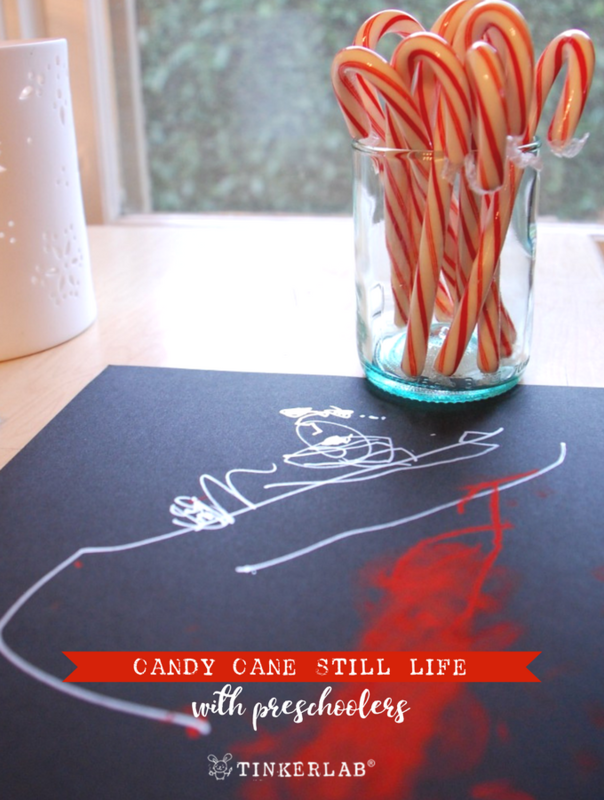 If you have a toddler or preschooler and want to set up a beautiful and simple preschool Christmas craft, Candy Cane Still Life is for you. 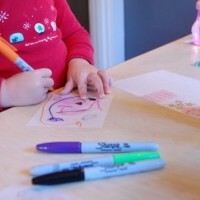 It’s easy to set up, low mess, and encourages children to exercise visual thinking skills to connect the mind with the hand as they draw what they see. 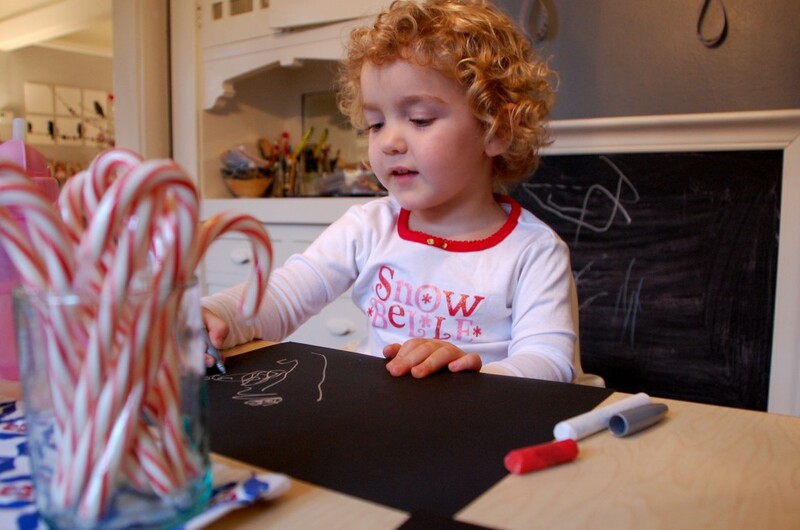 At least half of the art activities that happen in our home are improvisations. Today was another rainy day, and after setting up a marble run, sommersaulting off the couch, playing with neighborhood friends, and jumping in puddles, I pulled this Candy Cane Still Life out of my rabbit hat. 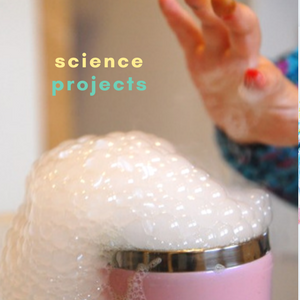 It’s an invitation to create that encourages independent thinking skills and choice-making. No cookie-cutter crafts here. 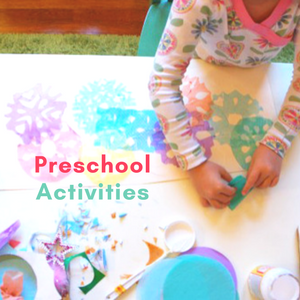 It was a short activity, but totally worthwhile and applicable, I think, to a wide variety of ages. In terms of creating a still life, my toddler (is 2.5 still a toddler? I’m not so sure.) isn’t at all interested in depicting objects realistically, but at her age we could take inspiration from the colors of candy canes. 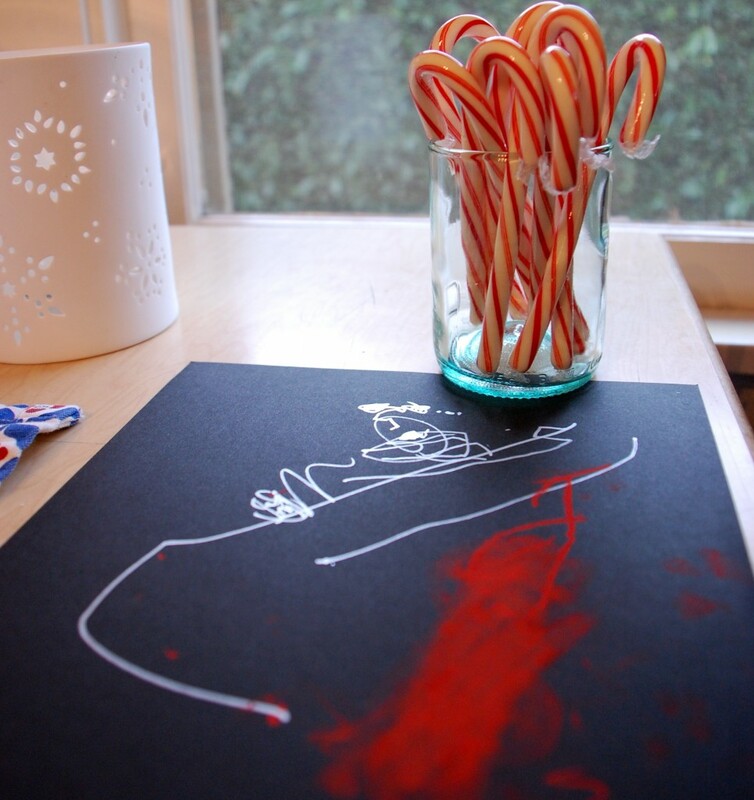 I started by placing a black paper in front of her and asking, “What color are candy canes?” After a silent pause, I brought out the glass full of canes for further investigation, and we saw that they’re red and white! This was my cue to “dig up” some red and white mark-making tools. I also asked if she’d like the silver sharpie. 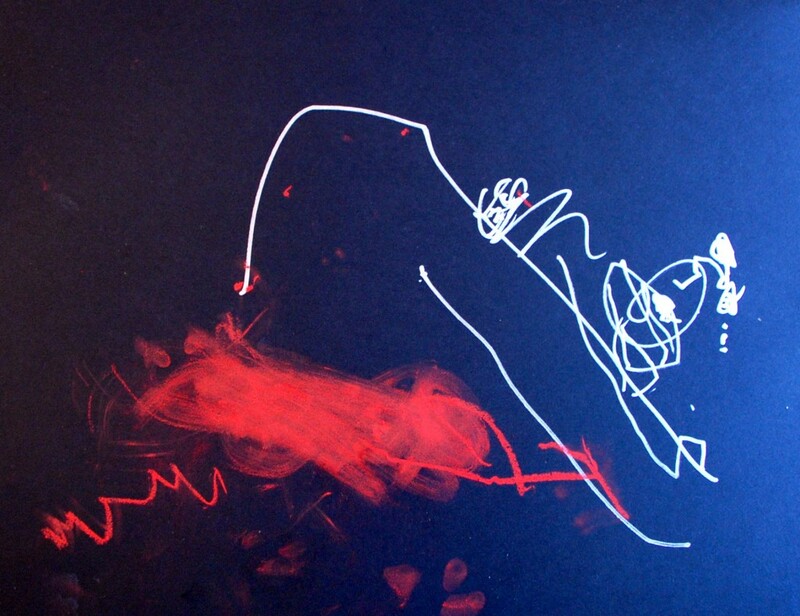 Um, yeah, have you ever met a toddler who didn’t want to draw with a Sharpie? Not likely. After drawing with the Sharpie, she played around with the red chalk, and became fascinated with how it broke apart when she made forceful polkadots on the page. The smearing was pretty interesting, but after getting covered with a handful of red dust she was done. Fair enough. I like how the vivid colors pop off the black background. While my child art projects generally have a focus on process over product, as this one does, I also really like how it turned out. The coherency of the final product seems to be the result of working within the constraints of limited materials. 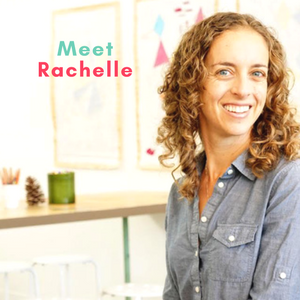 Professional artists work well with constraints, and I believe that children benefit from a similar approach to art making. 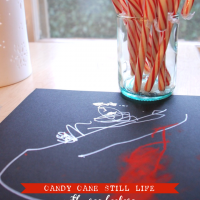 So there you have it…a Candy Cane Still Life, of course! Happy Drawing, and Happy Holidays!